Kent, known as the 'Garden of England', is a county in the South East of England. It's home to beautiful castles, gardens and stately homes, as well as quaint coastal towns and the famous Canterbury cathedral. Kent is easily accessible by train and so many of the towns and attractions have become popular day trips from London. 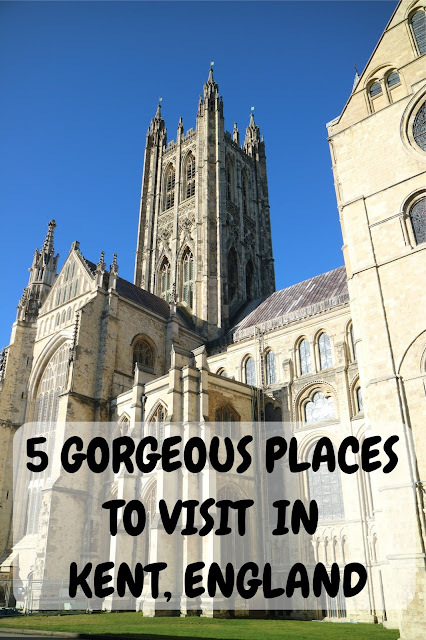 Canterbury is easily one of the most charming cities in England, and makes a great place for a day trip or even a weekend away. The entire city is a UNESCO world heritage site and is famous for its beautiful cathedral, historic architecture and cobbled streets. 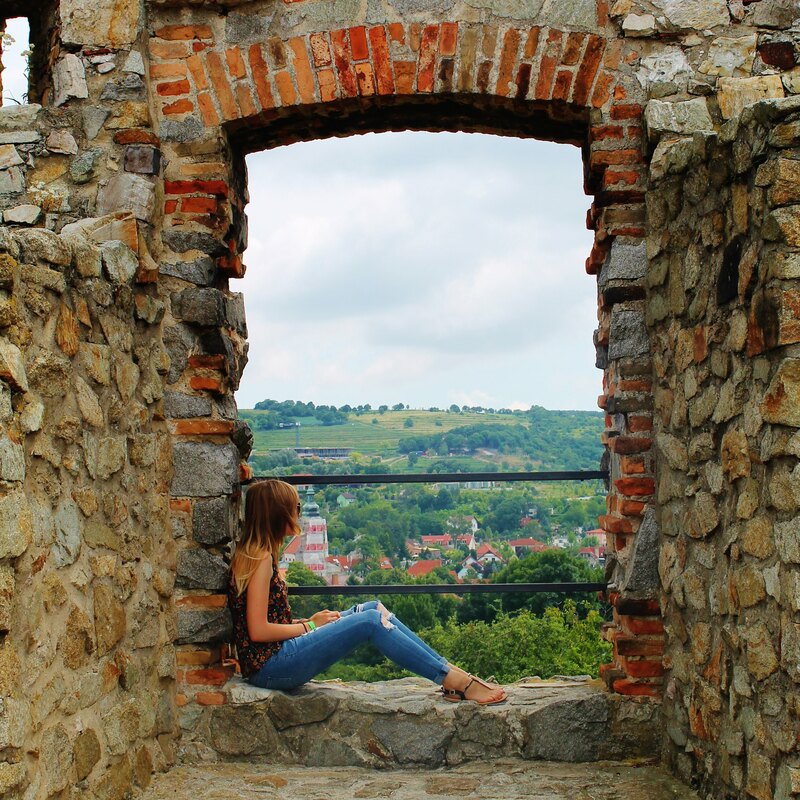 The old city walls surrounding the town centre are a great place to walk, and you can't miss checking out Westgate Towers. Although parts of Dover have definitely seen better days, the town redeems itself with some pretty amazing sights and historic attractions. The iconic White Cliffs of Dover are a must-see, and Dover Castle with its wartime tunnels is a great place to spend an afternoon. If I had to pick my favourite seaside town in England, it would probably be Whitstable. Just a 15 minute drive from Canterbury, and also on the London to Ramsgate train line, Whitstable is a fantastic place to visit. Beautiful pastel coloured homes and beach huts line the pebbled beach, and the high street is full of quaint, independent shops and cafes. The beach hut market in the harbour is a hidden gem where small vendors sell things from amazing artwork, to delicious homemade fudge. There's also Whitstable Castle and Gardens which are a beautiful place to walk through. 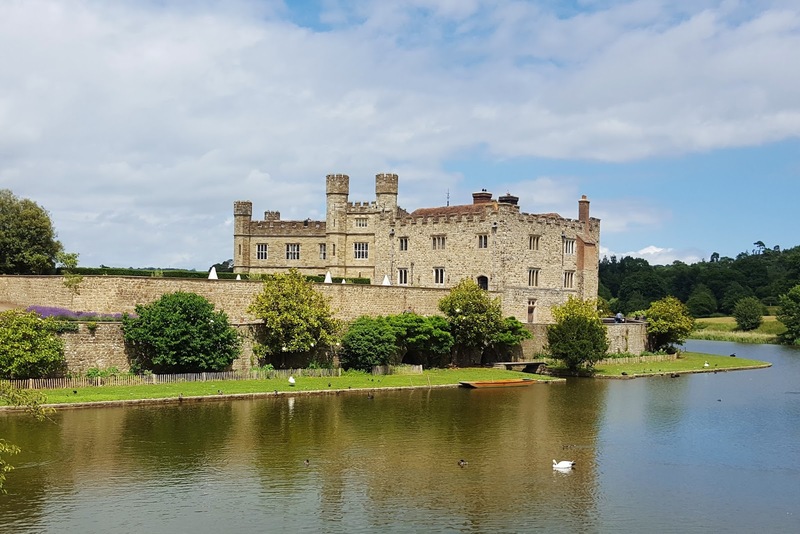 Leeds Castle, which misleadingly named isn't in Leeds but in Kent, is one of the most beautiful castles in England. The gardens are stunning, and the moat surrounding the castle makes it even more picturesque. It's a lovely place to spend the day and have a picnic, and if you fancy a little bit of adrenaline there's even a Go Ape tree top adventure there too. If you fancy visiting a beach with sand rather than pebbles then head over to Margate. Margate has been a popular seaside town since the 1960s, and I can only imagine how busy it gets when England gets its few, rare hot days of the year. Besides the beach, another popular attraction here is 'Dreamland', an old-fashioned amusement park that was recently refurbished in 2017.